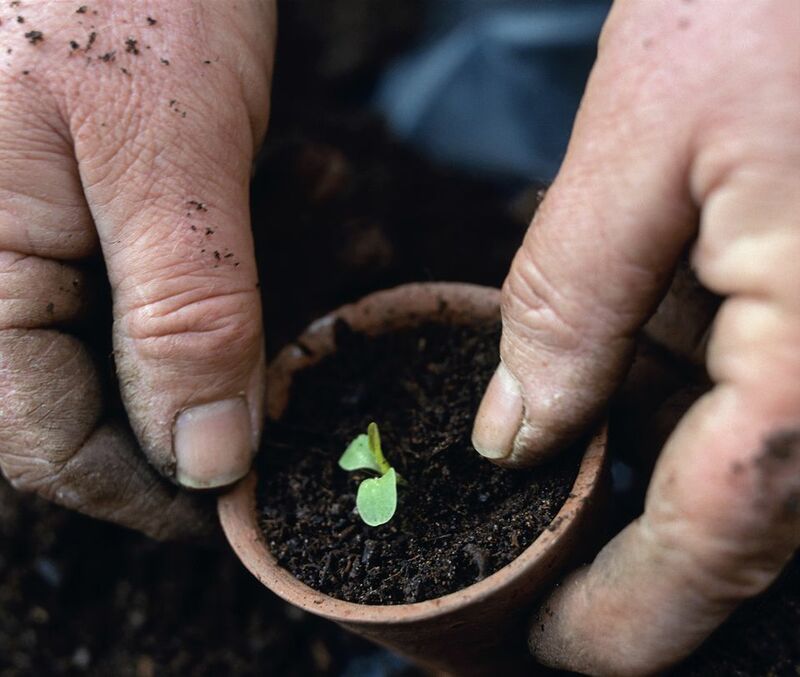 As an indoor gardener, you ask a great deal out of potting soil. You want it to support and nourish your plants, often for years at a time. But the truth is, most bagged soils just aren't designed for this. Here's why. Most soil mixes are peat-based mixes, often made with reed or sedge peat, and ​pH adjusted with lime. They are rich and loamy fresh out of the bag, and often they are enhanced with fertilizer or water-retention crystals. If you've been gardening for a long time, though, you may notice that plants rarely thrive in these kinds of soils for too long. Instead, after a growing season—or maybe even two—the plant no longer grows as fast or looks as vibrant. With some poorer quality bagged soils, plants are lucky to survive a few months. This happens because peat-based soils really aren't designed for long-term use. They're not actually designed for plants at all—they're made for your convenience. They're cheaper to produce, and they are lightweight and easy to bag and sell. The problem is that peat decomposes quickly. Like any organic material, all soils decompose over time, but peat is an especially rapid decomposer. It's safe to say that most peat-based soils are mushy soup within a year, and some come right of the bag as a heavy glop of mush. The peat slowly compresses. In the pot, it'll look like the dirt is "settling," when in fact, it's actually breaking down. As it does, the particles pack themselves around the roots, slowly starving them of oxygen. The youngest, newest, and smallest roots are affected first. Just like plants need water and fertilizer, they also need ample air around the roots. A plant with good aeration in the root zone is a healthy plant. A plant that can't breath is a dead plant. Drainage is impeded. As the soil particles become smaller and smaller, it's harder for water to drain through the pot. A layer of drainage pebbles at the bottom of the pot will actually make this problem worse. All you're doing is reducing the amount of soil in the pot, so the plant will have even less room to grow. Salt build-up is encouraged. As the drainage slows, it allows for a faster buildup of salts and solids from fertilizer. Over time, this stresses the plant and can scorch the same tender roots that are stressed by the soil impaction. With all of this happening in a single season, is it any wonder that plants that thrive for a few months in their new pots begin to lose vibrancy within a year? Repot every year. This is probably the easiest and most practical of all options. The fact is, the vast majority of people grow in peat-based bagged soils, and that's probably not going to change anytime soon. But for the sake of your plants, repot every year and you'll have healthier, more productive plants. Improve your bagged soil. It's not a long-term fix, but you can improve on peat-based growing mixes by mixing in a few handfuls of perlite. It won't slow the decomposition rate of the peat, but it will increase aeration. Flush the soil thoroughly every month, at a minimum. Take the plant to the kitchen sink or outside and thoroughly flush the soil to wash out accumulated salts from fertilizer and deposits from tap water. Wick your pots. Insert a wick through the drainage hole in the bottom of the pot. This won't help with compaction, but it will wick away excess water in the pot and help drainage, thus reducing the chance of root rot. Make your own potting mix. Many growers mix up their own potting mixes based on composted bark, coconut coir, peat, perlite, vermiculite, pumice, and other soil additives. This is a more advanced option, but it is possible to build a soil that will last for two or more seasons if you make it yourself.